• The Wildcat Foundation recently held a community day at the middle school. 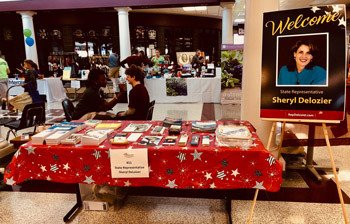 The event highlighted community businesses, services, programs and opportunities available for district students and their families. I was proud to participate. •	Downtown Mechanicsburg Partnership honored Bob Buhrig as its 2018 Person of the Year. I was honored to present him with a citation at the dinner recognizing his accomplishments. •	Cedar Cliff JROTC held its eighth annual Veterans Day spaghetti dinner to honor veterans in our area. All veterans ate free, and proceeds from the event benefited the JROTC program. Thank you to all of our veterans for their bravery and sacrifice to keep our country safe. 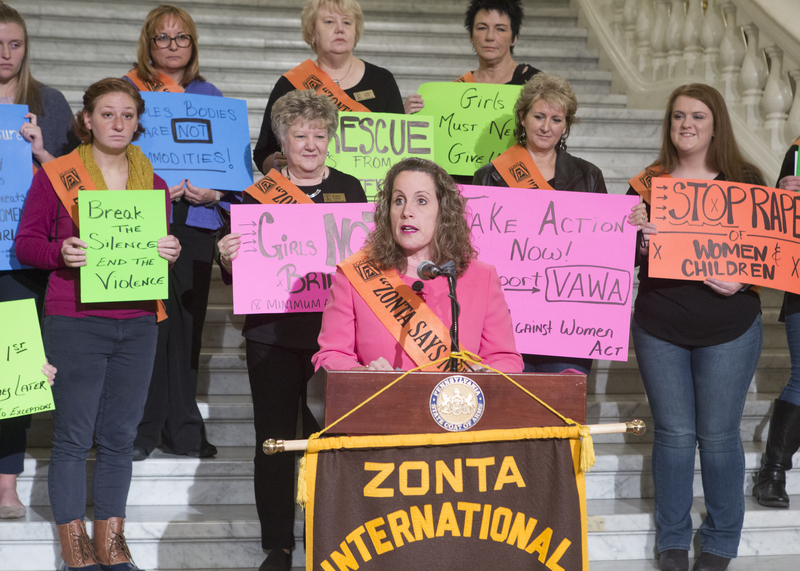 •	As I have done each year, I spoke at the annual Zonta Says NO to Violence Rally at the Capitol. It is important that we raise awareness about human trafficking. This fall, we passed Act 130 of 2018 that creates a safe harbor for sexually exploited children. •	This week, Allen Middle School held its Teaching, Educating and Mentoring (T.E.A.M) Graduation for seventh-grade students. The program was developed by the Michigan State Police in response to issues that the traditional DARE program did not address. As part of the ceremony, my office presented the students with certificates.